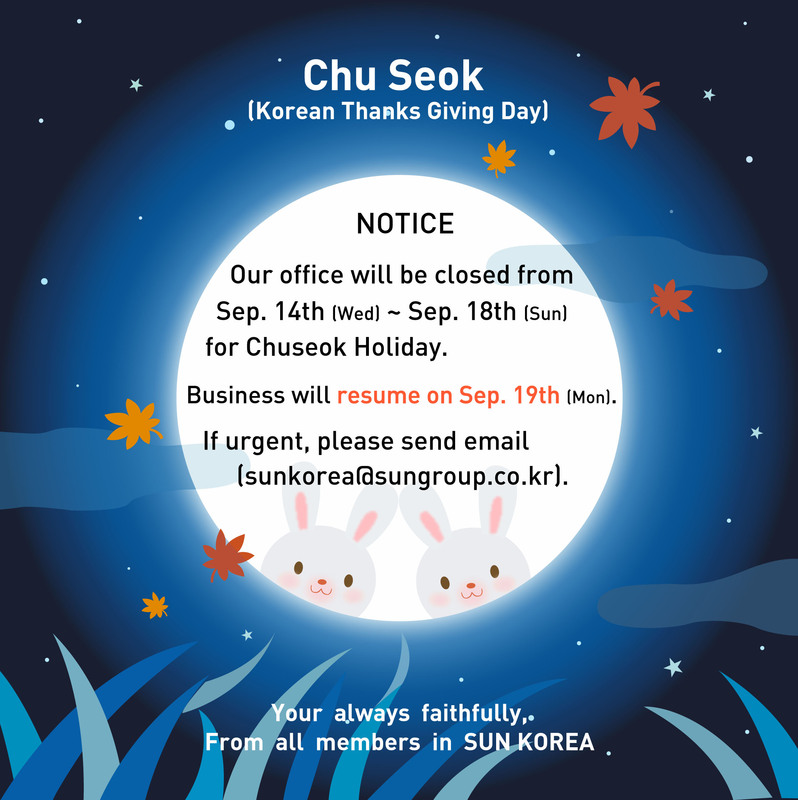 Our office will be closed from Afternoon SEP. 14, 2016 to SEP. 18, 2016 due to ‘Chu Seok’ (Korean Thanks Giving Day). We will get back to work on Sep. 19, 2016 (Monday). If you have any urgent works, please send them via our email (sunkorea@sungroup.co.kr). We will try our best to follow up your request ASAP.